Wouldn’t it be nice for each of your family members or guests to find a lovely tulip at their respective positions at the Easter dining table? Pick out some beautiful tulips for the Easter holiday, place them at each place setting and everyone will have their own tulip to bring back home. It is a small but meaningful gesture, especially for adult Easter dinner guests who otherwise would not have received anything special on the holiday. Though a floral print napkin isn’t exactly the same as a gorgeous bouquet of flowers, it is certainly easy on the eyes and a festive way to add colour to your table. Place your favorite floral print napkins at each place for some lovely eye candy. These napkins will also serve as a conversation starter to boot. If you and your family are looking for a creative way to celebrate Easter, give this idea a shot. Trace your favorite flowers onto colorful paper and cut them out to create festive name cards. It is the next best thing to an actual flower. Furthermore, this project lets you express your creativity and allows you to have some fun on the holiday. An Easter bouquet of flowers for your dining room table will serve as a stunning centerpiece that is absolutely perfect for the holiday. If you are feeling extra creative or looking for a child-friendly activity, have your kids decorate the Easter eggs before placing them in the basket. Brant Florist is Here to put a Smile on Your Face! 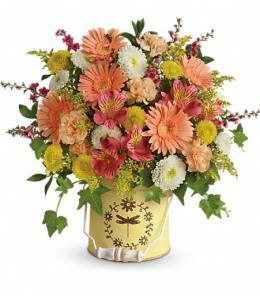 Each Brant Florist floral arrangement is handmade to ensure that each customer enjoys the perfect flowers. 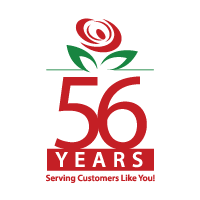 Our mission is to provide each customer with a highly unique and visually stunning combination of flowers that results in a lasting smile. We take the time to personalize each bouquet for the intended recipient(s) by including a customized note. Our attention to detail is second to none. 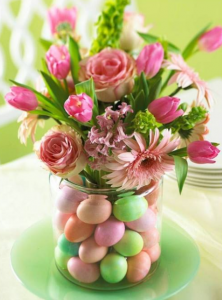 Contact us today at 877-545-5535 or info@brantflorist.com to order your Easter flowers in time for the holiday celebration.